I arrived just as the sun started to fleck the horizon with pinks but was dismayed to find that I’d already been beaten to my intended spot! One other angler on the lake, and he was sitting where I wanted to be; typical! We had a brief chat, before I retired to the other end of the lake, choosing peg 1, one of my least favourite areas, but the wind was pushing hard into the other end of the lake, and taking a huge amount of algal bloom with it, coating the water is a paint-like green slick which I didn’t fancy cleaning off my gear later! It’s a two-rod only water, so I set up a pair of 3lb test curve rods, twinned them with the huge spools of my trusty Sonik Tournos 10000’s, and prepared myself to launch a cast about 140 yards to where I could see carp cruising. I won’t lie, my cast fell about 35 yards short, a mix of average casting technique and a crosswind, and I felt the lead plug solidly into silt; not ideal. I tightened up, and pulled to release the lead, before winding in to try again. Again, I fell way short, but this time the lead seemed to settle on good ground, so I left it in situ as I realised I was never going to get near the intended spot. Baited with a Spotted Fin Smokey Jack bottom bait, and tipped with a small yellow wafter, I was confident that if carp were hungry, they would find it. A few freebies were sticked out over the top, and I went about my second rod. 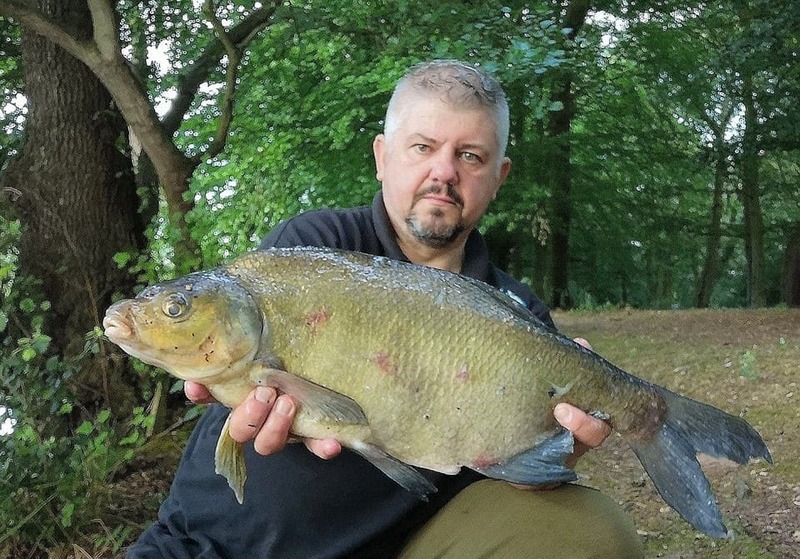 I know The Method works extremely well here, so the usual tri-lobe feeder was slid up the line, wrapped in Spotted Fin Classic Corn groundbait, studded with 2mm pellets, and an 8mm wafter banded onto the hook. This went out into open water near a submerged bar, and I sat back to wait. On the hour, every hour, the method feeder was retrieved and reloaded, but after 5 hours, I hadn’t had a single indication on either rod! Earlier activity had quietened down, with fish no longer to be seen rolling on the surface, and it appeared that they had indeed followed the wind. 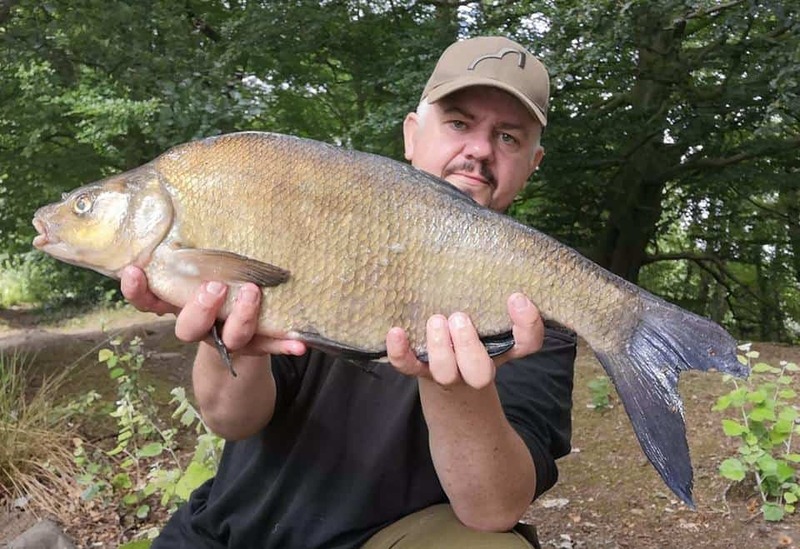 Eventually, a bleep and a typically stuttering run saw a bream of around 4lb banked, then another, and then I lost a slightly bigger fish, and that was it; nothing further all day, still no carp, and it was soon time to pack up. I found out subsequently that despite my misgivings, I was the only angler of six to have caught… scant consolation for such a poor day, but at least it wasn’t a blank! I returned a couple of days later, determined to fish better and catch more. 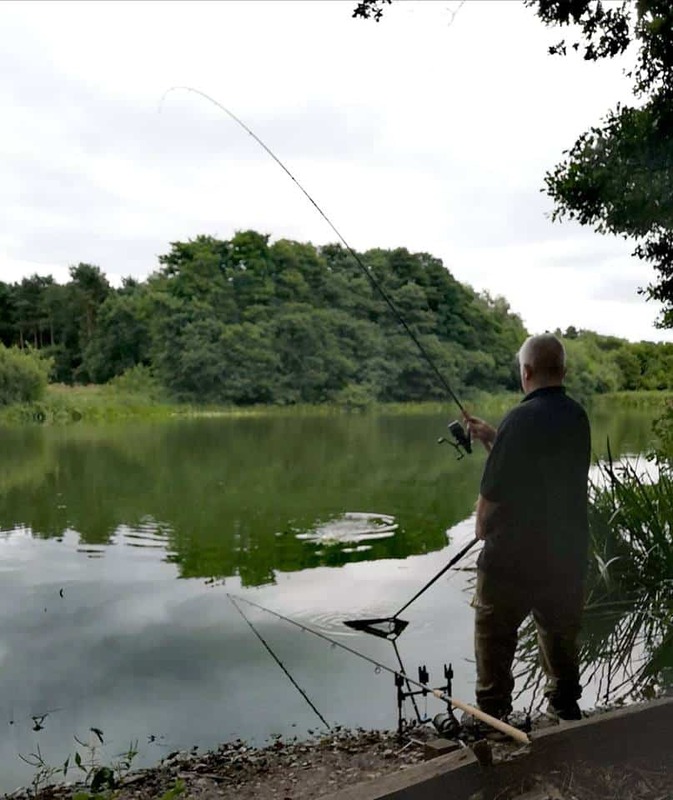 Both rods were set up with a method feeder, but this time crammed with Spotted Fin Super Sweet Blend groundbait, one with a tiny wafter hook bait, the other with two grains of corn on the hair. Both were lobbed out quickly and left to settle. Once more, I intended to recast every hour, but I didn’t really get chance. After a quiet first hour, in which I identified another bar to the right hand side of the swim, I moved the rods slightly left, and started to get interest straight away in an area devoid of silt or leaf debris. 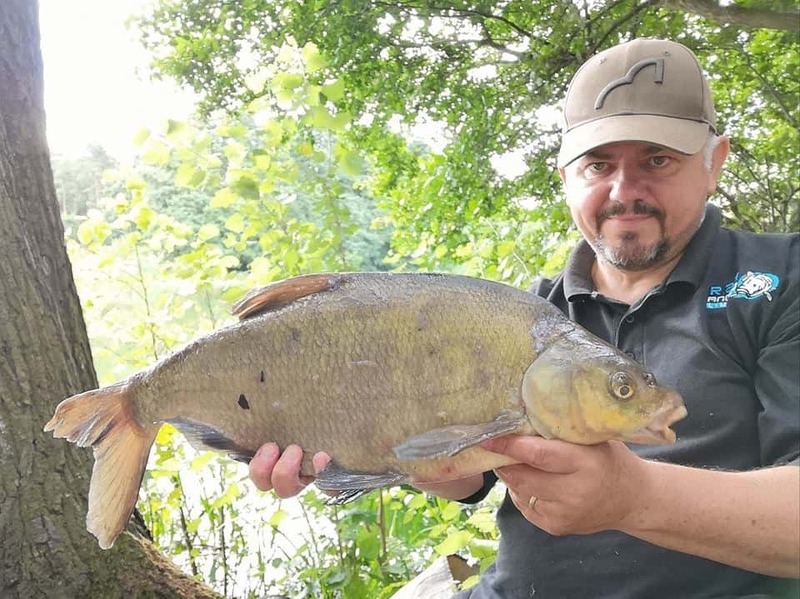 My first fish tripped up over the corn, as did my second, then the third picked up the wafter to give me a total of 3 big bream on the bank. A fourth fish fell to the corn, so I swapped the other rod over to yellow grains, and from then on rarely had them out together for more than 20 minutes! It went a bit mad, and by mid-afternoon, I’d tallied 16 bream and a trio chubby tench, as well as losing 3 more due to having (unheard of on this water) double takes! Usually, the wafters out perform any other bait on this particular lake, but just for once, after ringing the changes, I opted to fish the humble grain and it paid off. 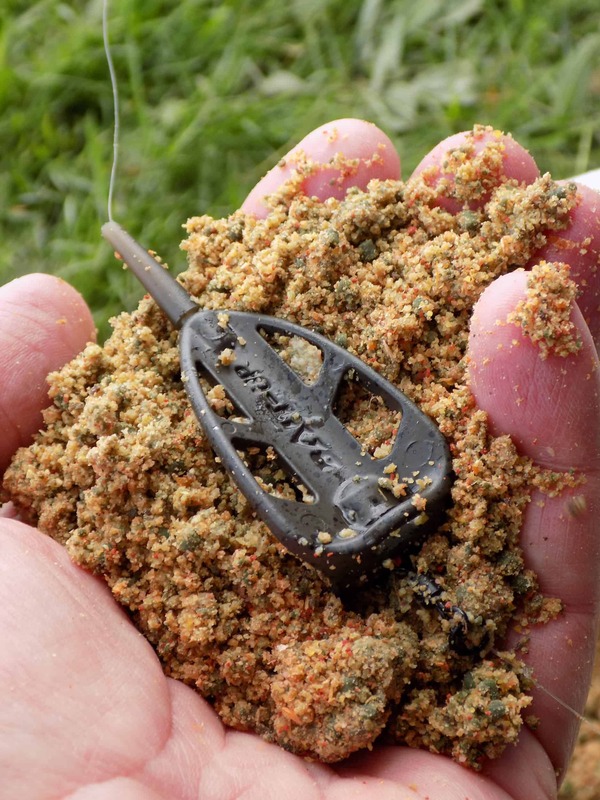 I’ve got absolute belief in the groundbait too, the sweetness proving a definite attractor for the hefty bream which reside within, and flecked through with 2mm Smokey Jack pellets, it makes an irresistible mix which seems to work consistently. Once more, I caught more than anyone else on the lake, and I think I know why; confidence in your bait is much of the battle on tricky waters, and I’ve got complete confidence in mine! Get on the Fin!